This drill teaches players about angle hitting and angle blocking. 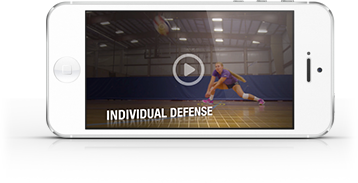 On the defensive end, it trains players to dig to a spot and defend the angle hit. It’s good for general ball-handling as well. The way it works: 4 vs. 4. Two players in the back row, two in the front row. Coach initiates a down ball, and one of the back-row players digs to an X located 12 feet from the net and in the middle of the court. The other back-row player sets the player who is in front of him. So the right back sets the left front and vice versa.